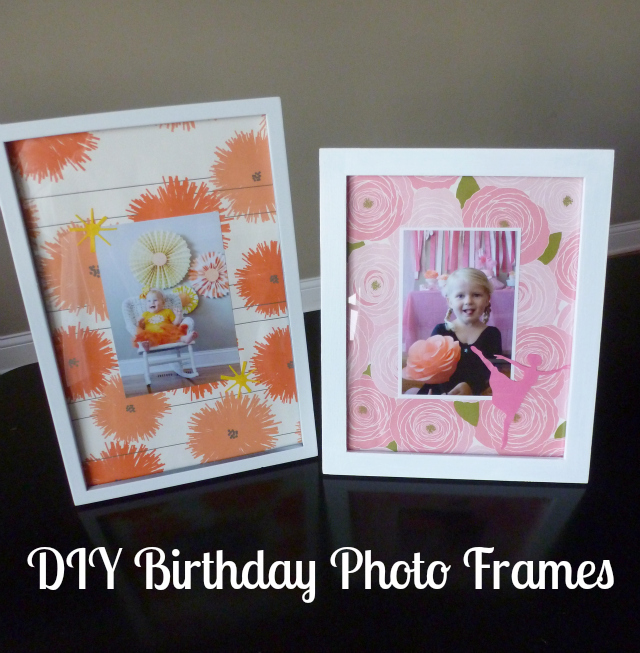 These personalized picture frames are an easy way to capture the special moment from your child’s birthday party or the holidays coming up! 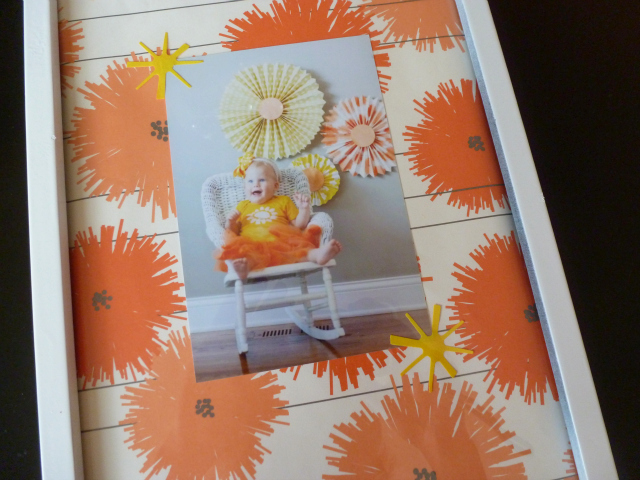 Just pick a favorite photo and save a couple momentos from the day to add to the frame – I used some of the pretty paper from the pinwheels at Hazel’s sunshine party, and some of the rose paper from Stella’s ballerina party invitations as the mat on the frame. I also kept a couple pieces of confetti from each party to add to the frame as well. 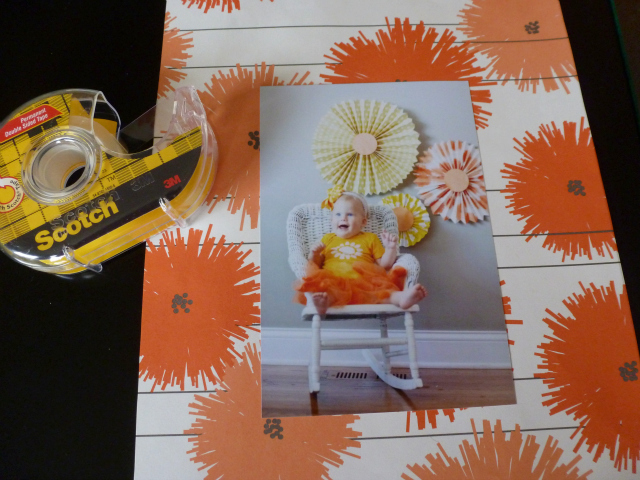 You could save a piece of wrapping paper from a favorite present, the birthday party invitation, the decorations, etc. The options are endless, as long as they are flat! 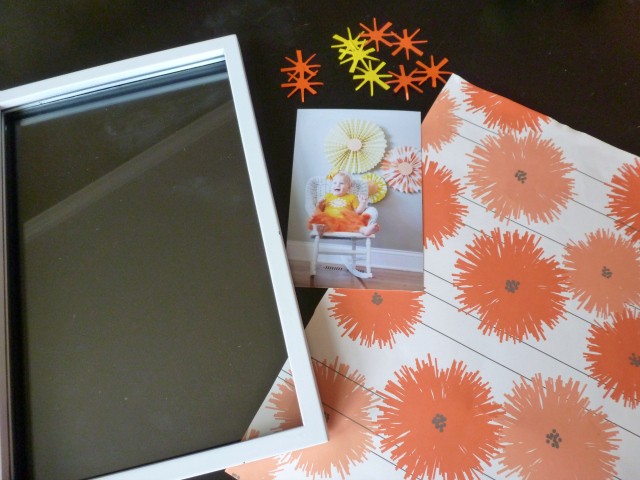 You could also buy a deeper shadow box frame if you had some thicker momentos you wanted to include. 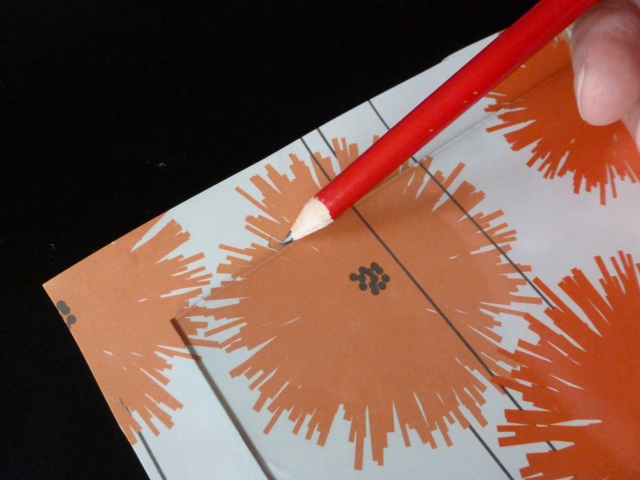 Then I used double-sided tape to affix the photo in the middle of the paper. 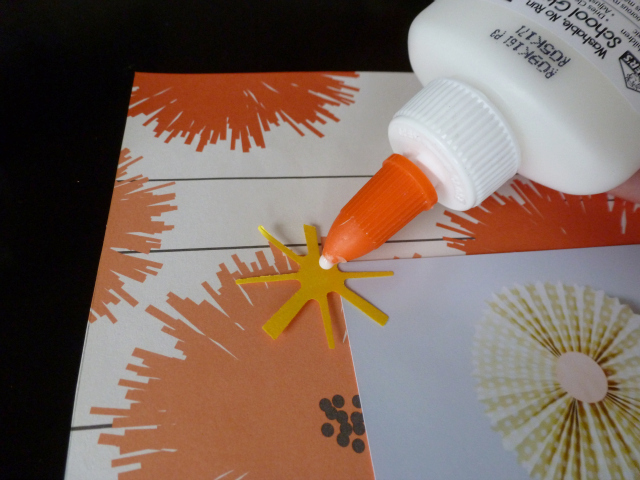 I glued on a couple pieces of sunshine confetti for a final touch! This new frame, along with the one from Stella’s party are going up in their new shared bedroom… more details on that to come! These are so cute! I'm going to try it with Logan's party pictures!